This book contains descriptions of over 250 herbs, including notes on their distribution in the wild and details of their medicinal and culinary uses. The introductory section covers the history of herbalism with examples from Ancient Egypt and Mesopotamia through to modern-day Britain. There is advice on collecting, growing, drying and storing herbs for medicinal and culinary purposes, as well as information about their therapeutic effects. Extensive glossaries of botanical and medical terms are also included for easy reference. 2. 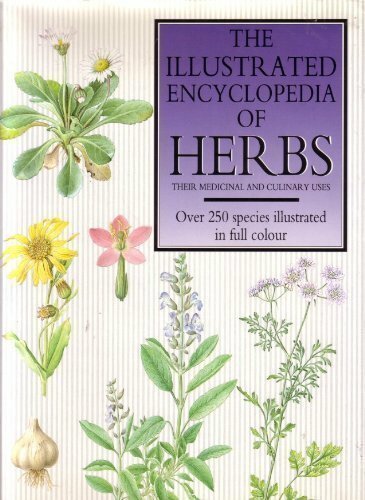 The Illustrated Encyclopedia of Herbs. Their Medicinal and Culinary Uses. Kräuter- + Naturheilkunde Bunney, S. (Ed. ).